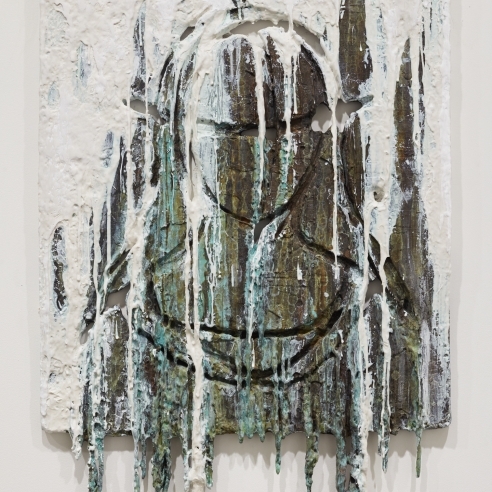 Berggruen Gallery is pleased to present Diana Al-Hadid, an exhibition of panels, sculptures, and bronzes by Syrian-born, New York-based sculptor, Diana Al-Hadid. 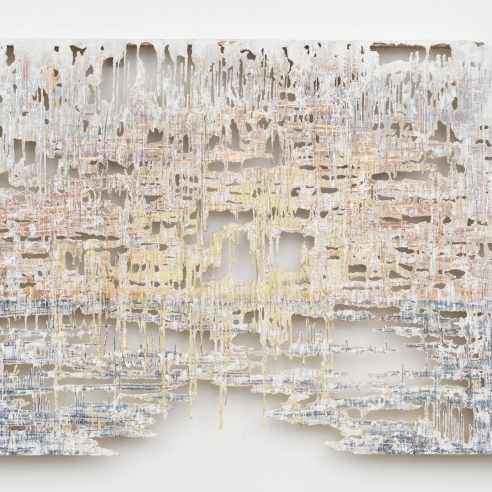 This show marks Al Hadid’s first solo exhibition with the gallery and will be on view January 14 through February 16, 2019. The gallery will host a reception for the artist on Thursday, January 17 from 5:00 to 7:00pm. In this exhibition, Al-Hadid explores the material potential of the art object through an investigation of the laws of physics. 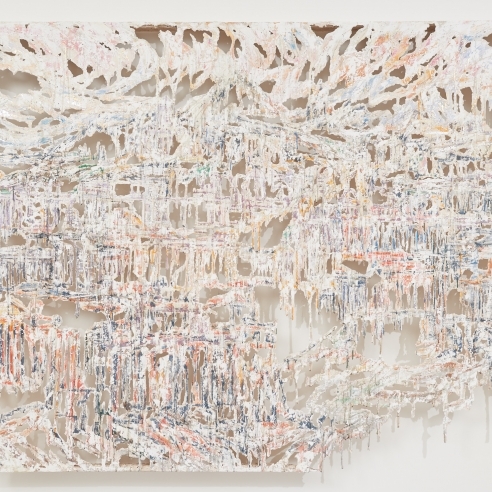 Undulating, seemingly weightless fragments form a complex dimensionality that is at once fractured and complete, fragile and solid, antiquated and contemporary. 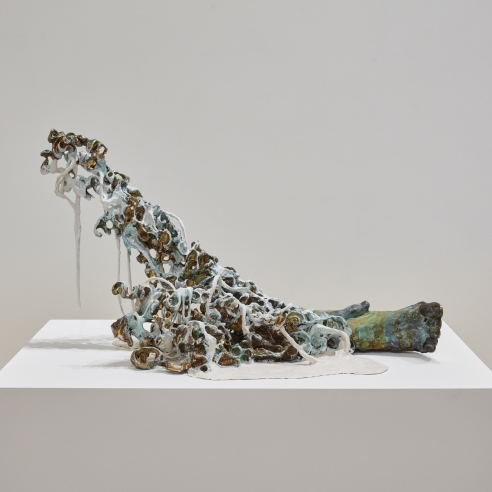 The exhibition - which includes sculptural wall pieces, freestanding sculptures, and bronzes - reveals Al Hadid’s use of industrial materials to form a narrative grounded in the artist’s unique process-based study combined with her myriad sources from history and memory to science and literature. This particular body of work – dense with references from art of the past– reveals the unique contextual foundation of Al-Hadid’s artistic practice. 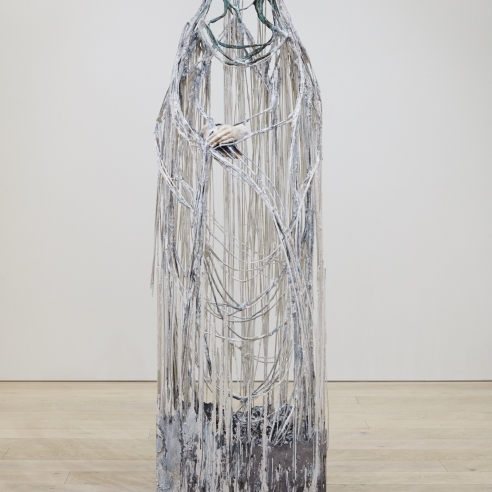 Straddling past and present, her work prompts a consideration of the art object’s material history. A timeworn quality exudes from her work to embody a collection of modern relics – relics that express the act of artistic creation and the evocative language of painting and sculpture. The identity of the art objects thus derives from the passing of time through artistic gesture. In Al-Hadid’s sculptural panels, she experiments with time, matter, and space to conceive gossamer labyrinths that appear capricious and transformable in their tangled layers and delicate fluidity, while these works simultaneously probe the boundary between painting and sculpture. Intricately layered compositions express a tactile sense of depth, where natural inconsistencies and organic imperfections express the artist’s rigorous manual process. Al-Hadid calls upon Northern Renaissance paintings as source material for these works, allowing their atmospheric sense of drama and whimsy to instill her panels with a sense of movement and life. Primarily landscapes, these compositions reveal strong horizontal movement, drawing the eye across each panel to create an illusion of panoramic space. Reference images from Renaissance masters such as Johan Christian Dahl, Joseph Michael Gandy, and Herri Met De Bles provide a foundation from which Al Hadid shapes her own narrative – a heavily material narrative steeped in formal examinations of scale and depth. 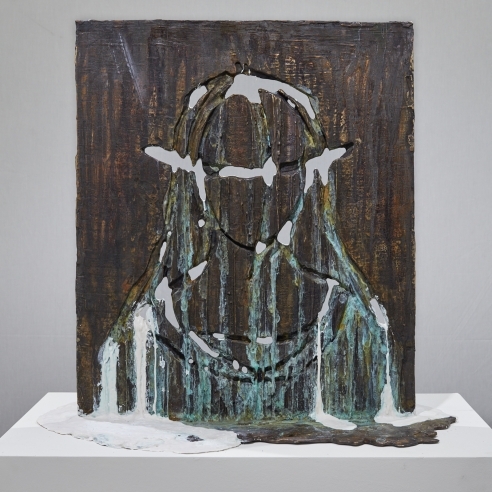 Al-Hadid’s freestanding sculptures and bronzes similarly pay homage to the imagery and mythology of Renaissance works. Contemporizing an ancient medium and bringing traditional motifs to life, Al-Hadid reveals how the identity of an art object is not merely defined by representation but rather artistic gesture, indicating the passage of time both through references to the past and through the artist’s material investigation of physical and pictorial space.